Which process improvement approach is right for you and your needs? People sometimes ask me to explain the difference between lean production and six sigma. 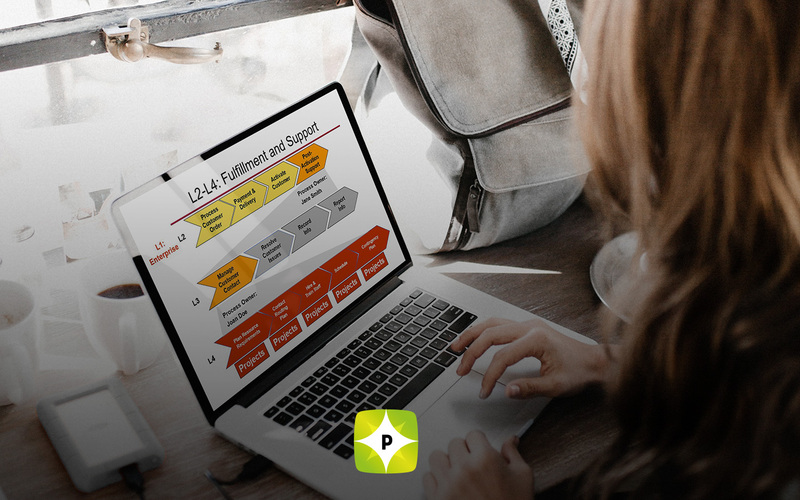 The question is usually phrased something like, “Should I use six sigma or lean production methods to improve my operations?” Before I tell you my answer, let me provide a brief background on these different approaches to process improvement. 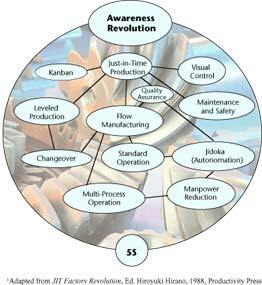 Lean production is based on the Toyota Production System and usually includes the elements shown in Figure 1. When properly implemented, a lean production system can dramatically improve productivity (by as much as 95 percent when compared with traditional batch-and-queue production systems). Lean production dates back to the post-World War II era in Japan. It was developed by Taiichi Ohno, a Toyota production executive, in response to a number of problems that plagued Japanese industry. The main problem was that of high-variety production, required to serve the domestic Japanese market. Mass-production techniques, which were developed by Henry Ford to economically produce long runs of identical products, were ill-suited to Toyota’s situation. The lean approach (the term “lean” was coined in the early 1990s by MIT researchers) systematically minimizes waste–called muda–in the value stream. Muda includes all types of defective work, not just defective products. Wasted time, motion and materials are also muda. The lean approach offers a set of solutions to muda in a high-variety production environment. Six sigma applies to the problems addressed by lean but also seeks to solve other problems common to production. 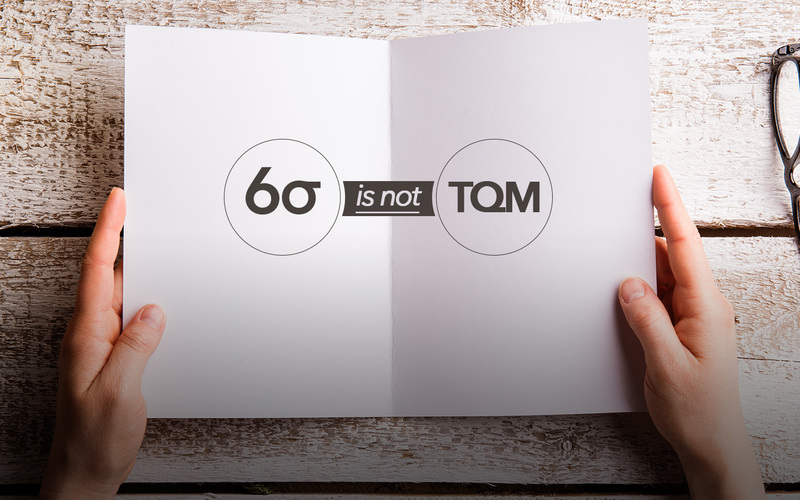 However, because both six sigma and lean address the problem of muda, there is a great deal of overlap. The approaches should be viewed as complements to one another. Some examples of this synergism are shown in Table 1. If you’re facing a situation where lean solutions can be used (e.g., high-variety production), you shouldn’t hesitate to implement lean: It offers proven solutions to known problems. 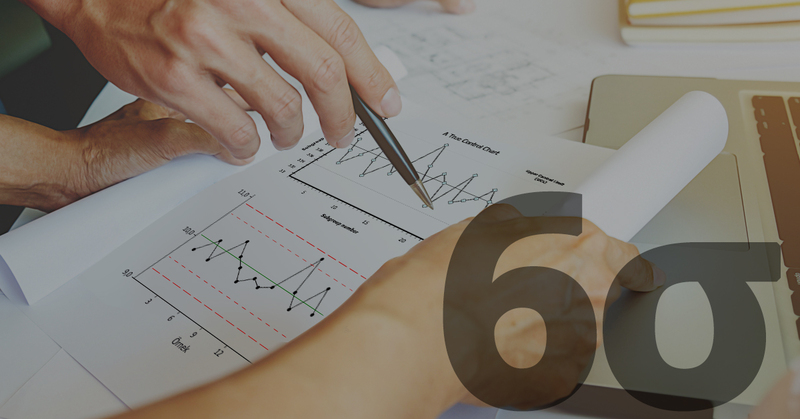 Six sigma methods will help you with lean, and they will help you continue to improve when it’s time to move into administrative and other nonproduction areas. Begin with Lean. Identify value streams for the most important product families and move these as closely as practical to one piece flow based on pull systems. Examine the improved value streams to determine where obstacles exist to moving closer to one piece flow. These obstacles will generally be caused by excessive setup or changeover times, information flow issues, excessive variation, and other forms of muda. Of course, for most organizations conducting these improvement activities will require a complete transformation in the culture of the organization. But that’s the topic for another post!